I have this dream that someday I’ll grow a huge, fruitful garden. I’ll share all the abundance with my neighbors and friends. My kids will excitedly pick their own vegetables for dinner and eat peas like it’s candy right off the vine. But alas, I don’t have what they call “a green thumb”. I remember when I was little there was a tree that was dying in our yard, just at the bottom of a huge bank of iceplant. My dad was going to rip it out and replace it, but I insisted I could take care of it and bring it back to life (most likely inspired by Fern in Charlotte’s Web). Everyday after school I would go out there with my homework on a blanket and talk to the tree. I read it books. 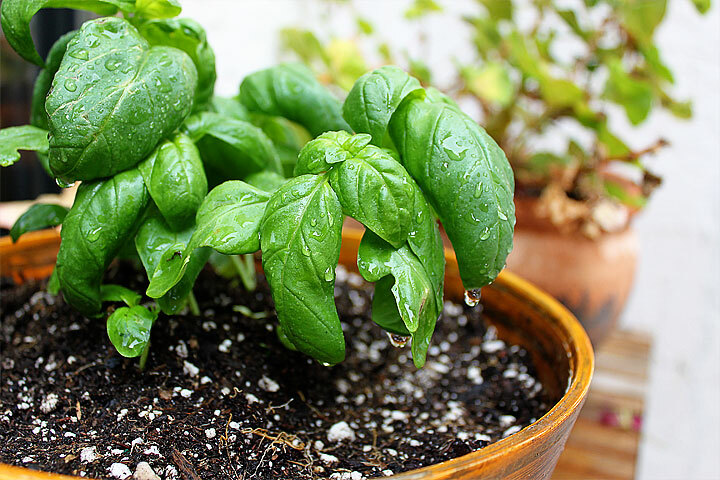 I watered it diligently and faithfully, and fertilized it. It was, for a short period of time, my very own Giving Tree. I don’t remember what happened to the tree, whether it lived or died. My parents moved away so I will never know. But I do remember how important saving that tree was to me, and how badly I willed it to thrive and grow. I haven’t successfully grown much since then. Two summers ago (the summer Amelia was born) I had the inclination to start a huge garden. It was our first time having a backyard space and I’ll admit we were a little overzealous with our planting. My tomatoes grew, and I think I got about two zucchini before the plant was diseased. My cucumbers never sprouted, and neither did any of my herbs. I think we got one tiny pepper from our pepper plant the entire season. And then after Amelia was born, I stopped watering it and everything (well, the tomatoes were the only thing left out there) died. It was a bust and I was so disappointed in my lack of ability to keep things (plants, children) alive. But today we started new, and I really hope it goes well. We started small, using containers left from the previous homeowners, and bought already-sprouted-and-thriving plants from the hardware store. 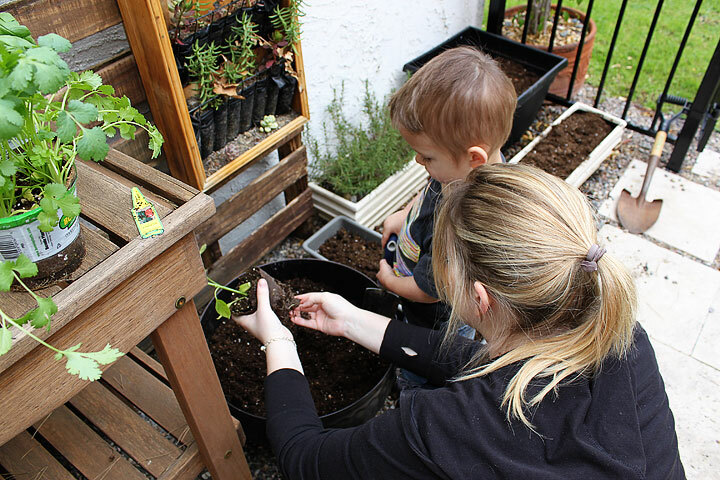 We even invested in the “moisture control” soil that is supposed to help with over- and under-watering (believe it or not, overwatering is a HUGE issue with a garden-excited preschooler, haha!). While I don’t think I’ll be out there with a blanket talking to the plants, I do hope they thrive where they’ve been planted. And it sounds strange (it’s a vegetable plant!) but I sure hope they’re happy and fruitful. Good luck, little garden. You’re going to need it. Good luck, mama! My mom gave me a little rose plant when Robert was born that finally gave up the ghost. :( My hope was that it would be Rob’s little plant! Oh, well. I had a succulent my friend gave me when Amelia was born that I had to finally throw away when we moved. It was literally just a stick in the dirt with no leaves left, haha! Oh well.